In an age of digital disruption, the conversation in enterprise business has turned to Digital Transformation. Enterprise organisations face increasing pressure to change the way they do business driven by digitisation and market-disrupting start-ups. 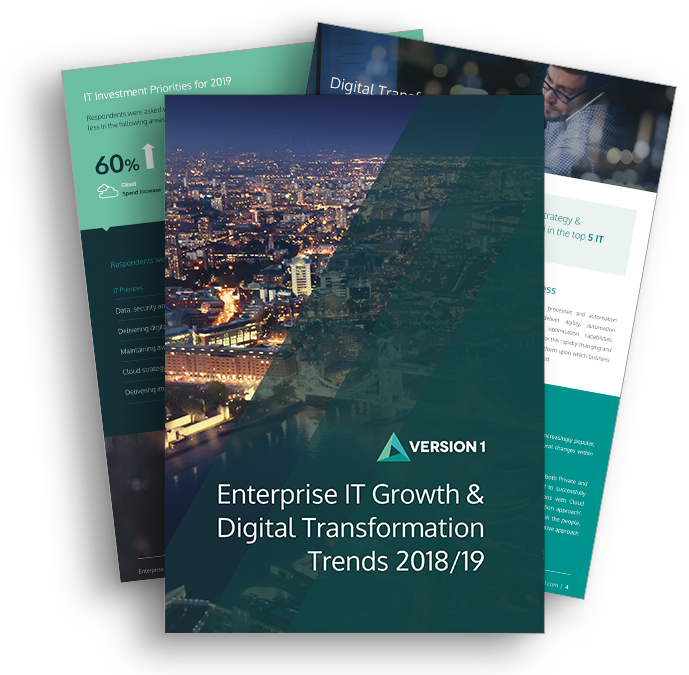 Being able to adapt to these changes through business agility and digital technology enables enterprises to gain competitive advantage, improve time to market and ensure their offerings are best in class. IT is increasingly aligned to business strategy, charged with defending and improving market position. The focus within many enterprises is shifting towards modern methodologies such as Agile and DevOps, and away from less iterative and inflexible processes that will hinder agility. Our experience has shown the greatest organisational challenges facing our customers arise in aligning these methodologies with overall management approaches. Success lies in an agile culture of collaboration across the whole organisation, across all the stakeholders involved in bringing the project, software or service to fruition. While the successful embedding of new processes, tools, philosophies and methodologies is crucial for the success of the organisation’s Agile and DevOps adoption; the biggest challenge has very little to do with technology – and a lot to do with people communicating with each other. Ronan Laffan, Principal Consultant from Version 1 Advisory Services hosted a webinar on how to address the organisational challenges of DevOps and Agile Adoption. This webinar gave a high-level view of the key distinctions, organisational impacts and stakeholder groups (technical and non-technical) that both affect and are affected by adopting Agile and DevOps methodologies across your organisation. ln this webinar, Ronan provided tips and strategies to help you achieve success in your Agile and DevOps adoption.